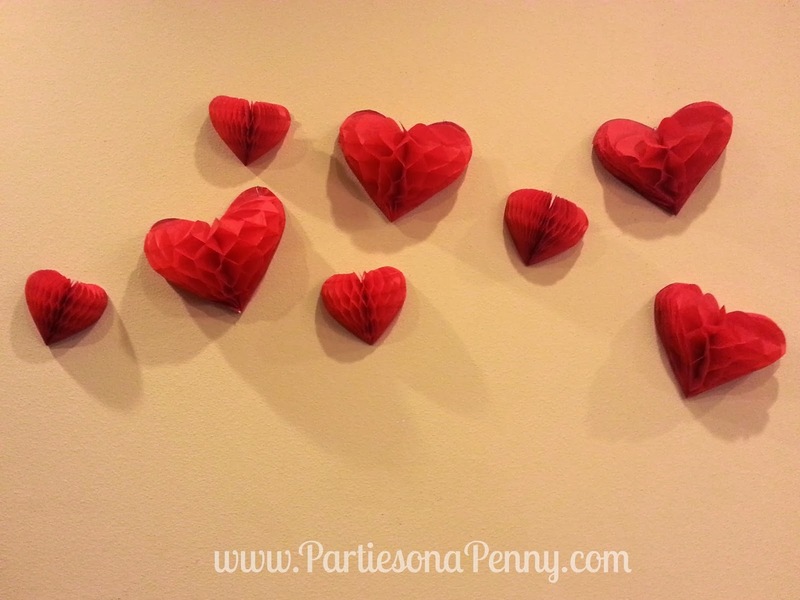 Here is a Valentine's Day party post for a simple and cute themed backdrop. 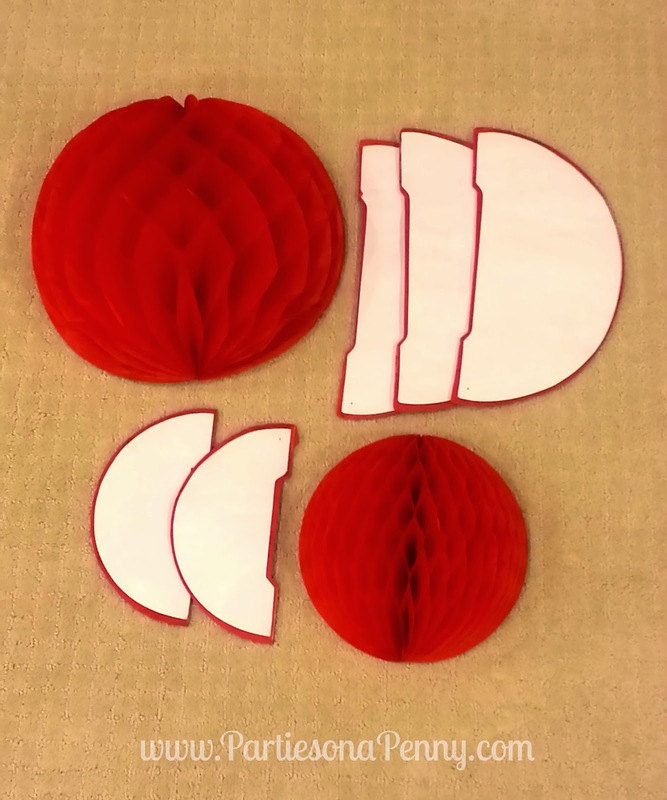 Step 1: Trace a heart shape onto one side of the honeycomb ball. 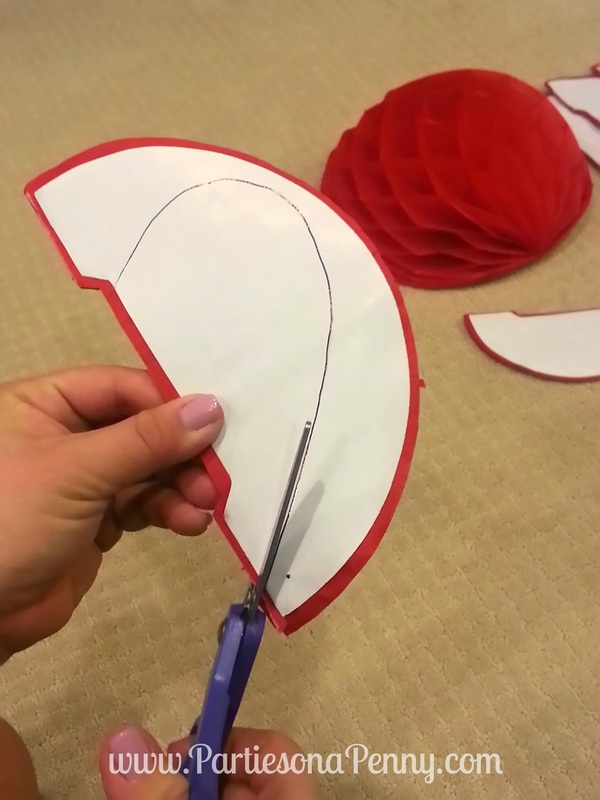 Step 2: Cut out the shape using a strong pair of scissors. 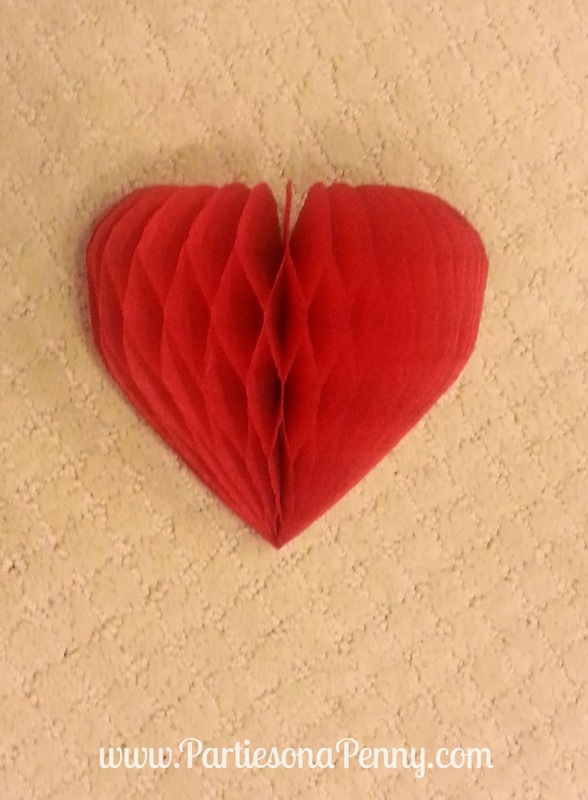 Step 3: Fold out each honeycomb and trim the heart if need be. 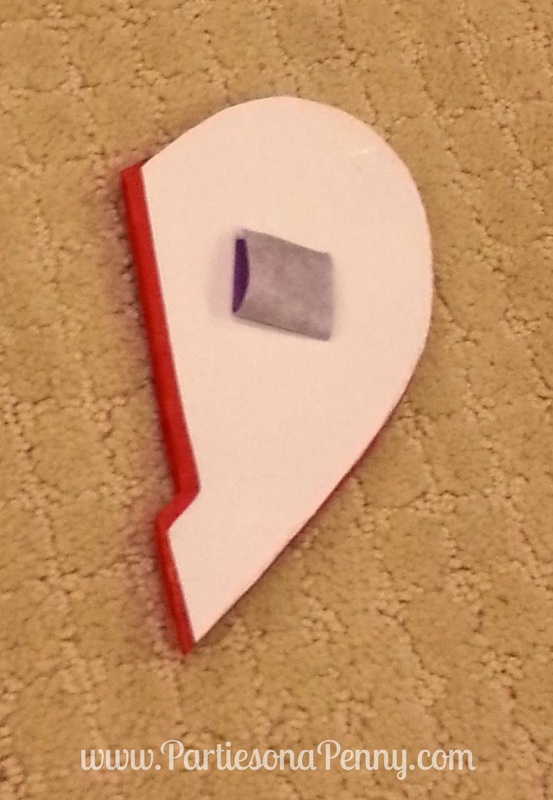 Step 4: Cut small strips of masking tape and make a tape roll. 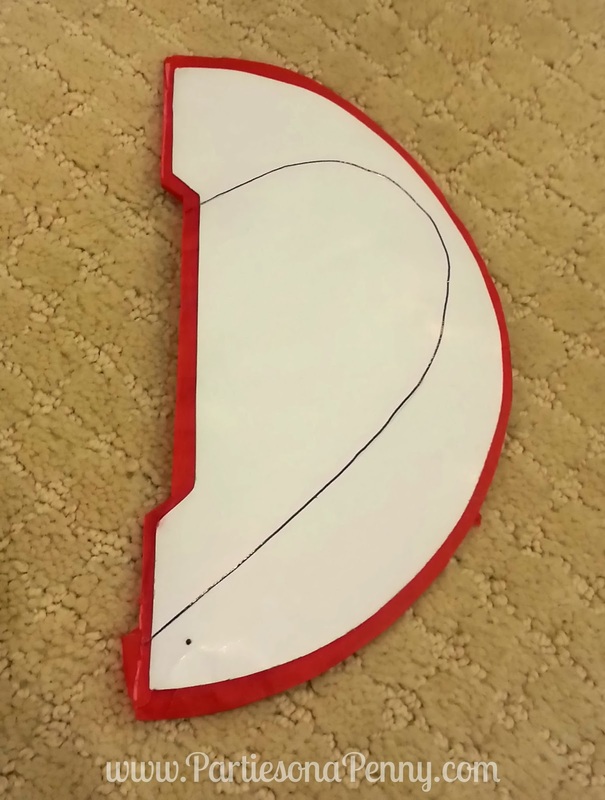 Adhere the tape onto both sides of the honeycomb ball. 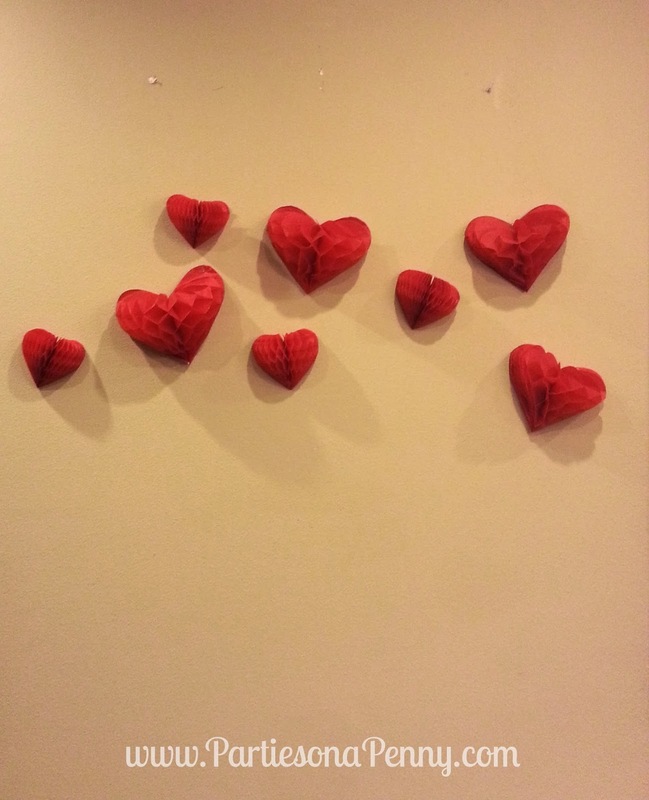 Step 5: Arrange the honeycombs on a wall or backdrop. you have shared awesome cakes decoration tricks , it would definitely make fun and icrease the charm of a party. would love to make this for my sister on her birthday.